With Global Warming and Climate Change upon us , Ebikes provide a low carbon solution for many of our transport needs, particularly those shorter journeys of 3 or 4 miles. For the “more mature” rider, Ebikes provide healthy cardio-vascular exercise while not completely knackering you – you can even set the level of assistance required. For any rider, the ability to conquer the steepest hills, (of which West Wales boasts more than its fair share), without exhausting yourself, means that you don’t have to dress up in special cycling clothes when you go out for a ride. 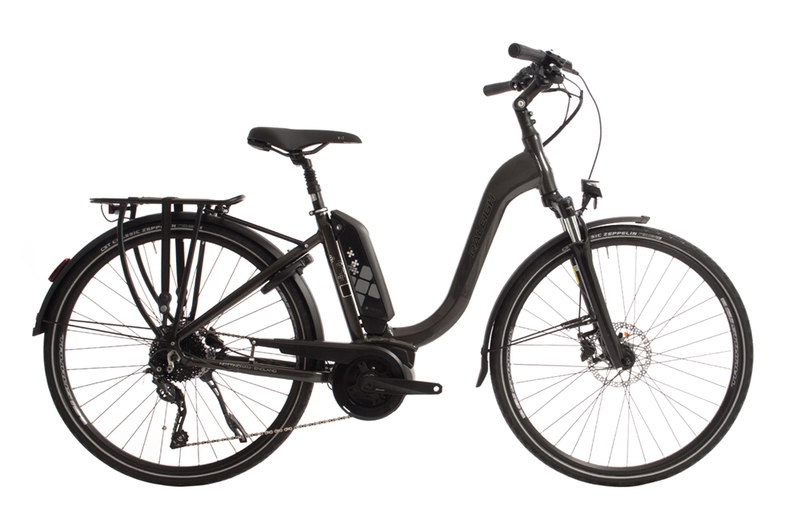 At New Image Bicycles, we are majoring this year on the Raleigh Motus range, which consists of a spread of models from £1700 to £2200 all featuring the Bosch centre motor, European style upright frames, hydraulic disc brakes and mudguards. They really are a sensible solution and worth a test ride either on our indoor virtual reality rig, or even better, outside in the real world as long as the weather is dry.